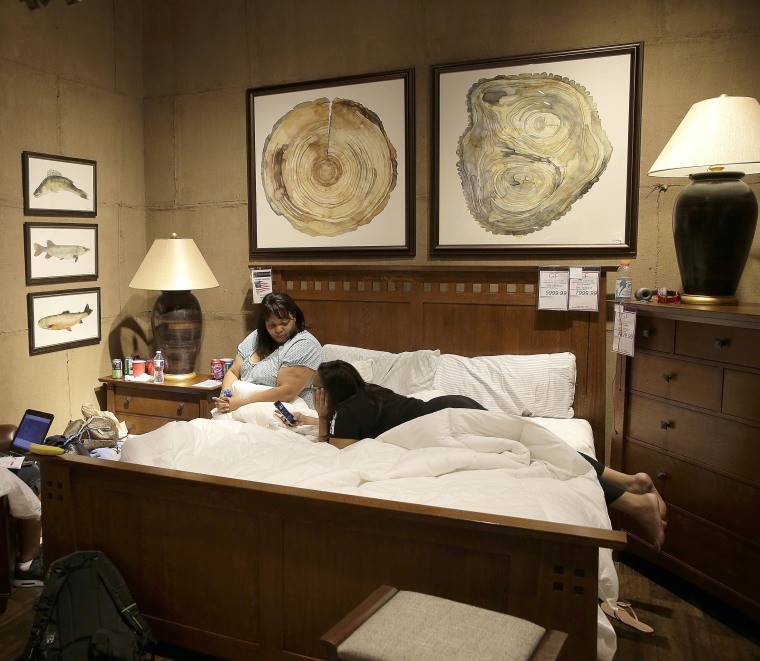 Displaced families find shelter at local Gallery Furniture stores due to flooding caused by Harvey. 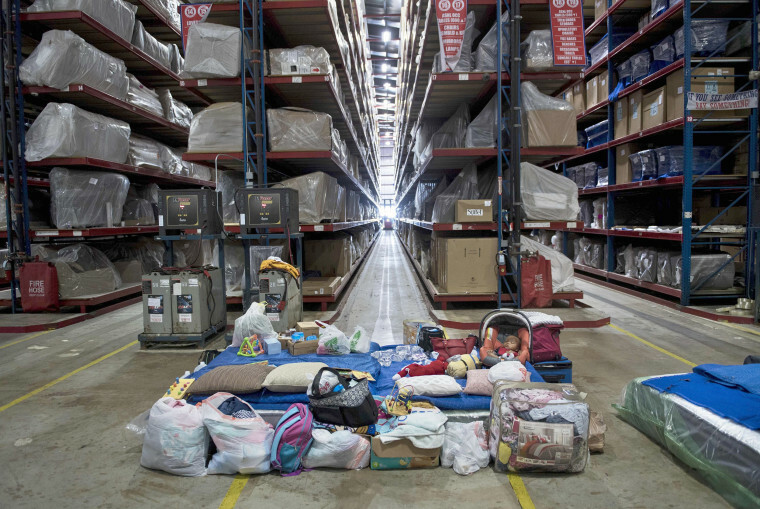 Displaced kids play while sheltering at Gallery Furniture on August 30 in Richmond, Texas. The furniture store opened as a shelter housing as many as 350 people in an area being constructed as a museum of American industry. 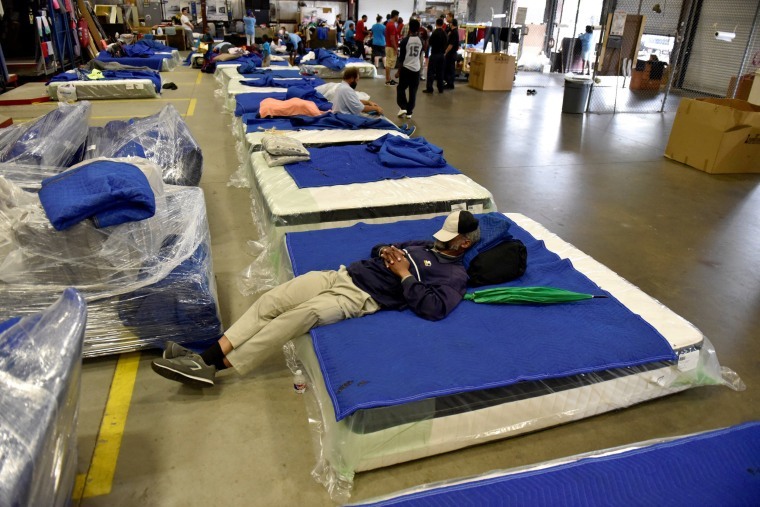 Owner Jim McIngvale, better known as Mattress Mack, threw open a couple of his stores to anyone in need, offering food, clean bathrooms and, of course, luxury bedding. "If this is what you call a shelter, I might not want to go home," said 47-year-old India Jackson, who marveled at the silky pillowcases, the $1,000 mattresses and the atrium with its live ocelot and colorful macaws. Gabe Worley makes a phone call from his living area at a shelter at Gallery Furniture. Worley evacuated his Missouri City home Monday in anticipation of the Brazos River flooding his neighborhood as a result of Hurricane Harvey. 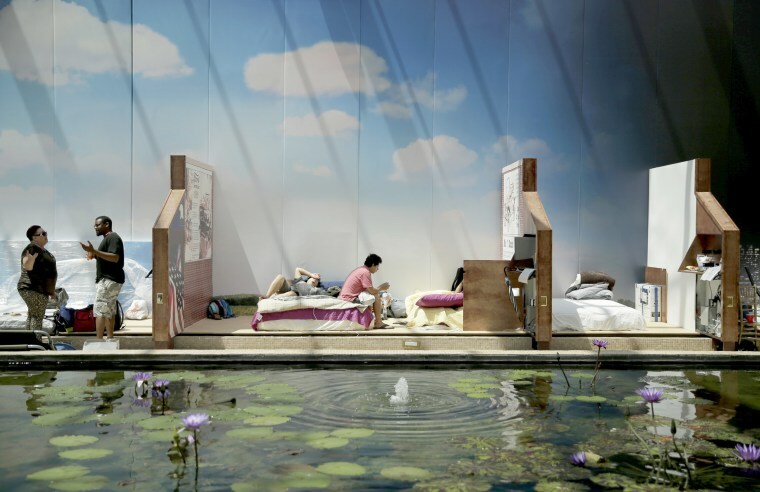 To relieve evacuees' stress, employees direct them to a meditation area, with soft music and a thousand-gallon fish tank with sharks, stingrays and exotic fish. 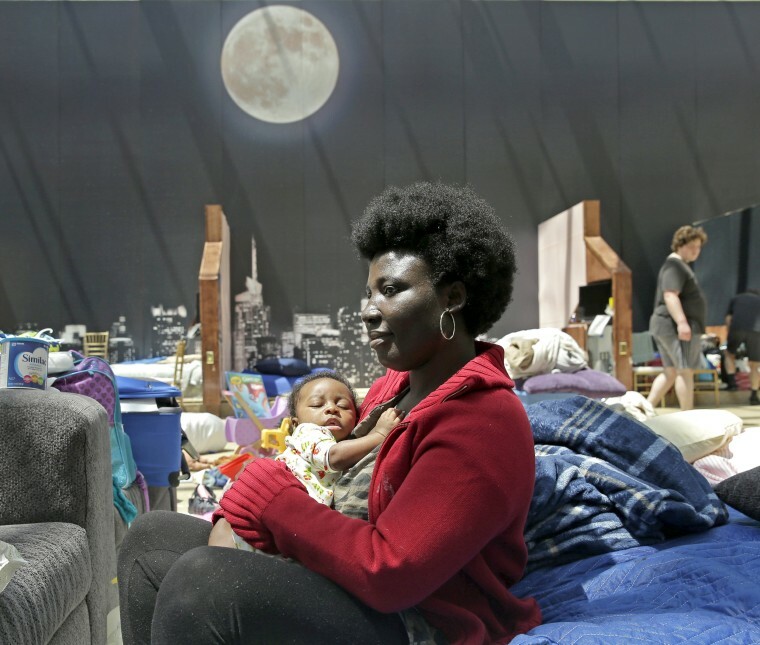 A family rests in a shelter at Gallery Furniture during the aftermath of Hurricane Harvey. 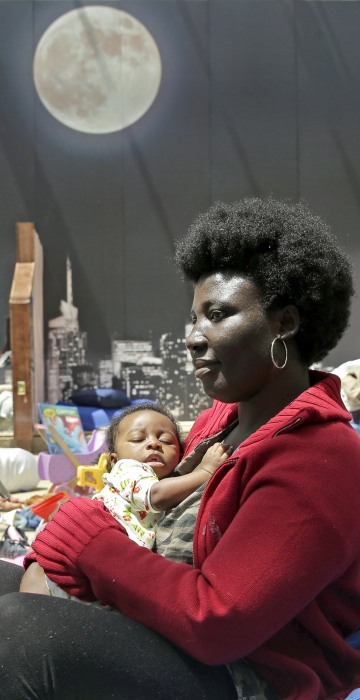 Gladys Dasi holds her two-month-old son, Elliott, while sheltering at the furniture store. Dasi, with her husband and four kids, evacuated their Richmond home Sunday after it flooded as a result of Hurricane Harvey. A couple rests as they take shelter in the furniture store. 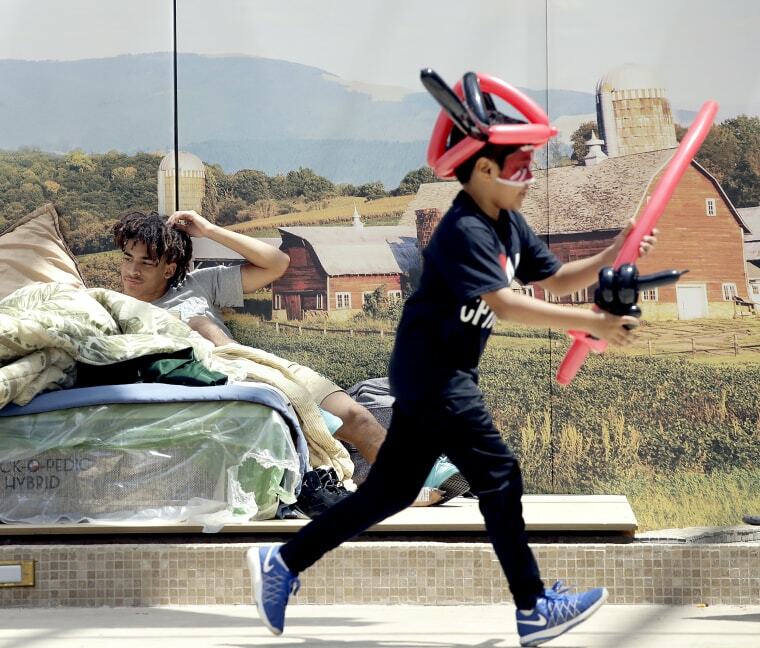 Jayden Oliver, 15, left, rests while another displaced child runs past as they shelter the furniture store. Oliver's family of seven evacuated their Richmond home Monday in anticipation of the Brazos River flooding their neighborhood. People displaced by Hurricane Harvey take shelter. Anna Koh selects a snack while sheltering at Gallery Furniture. Koh and her husband evacuated their Sugarland home Monday in anticipation of the Brazos River flooding their neighborhood. 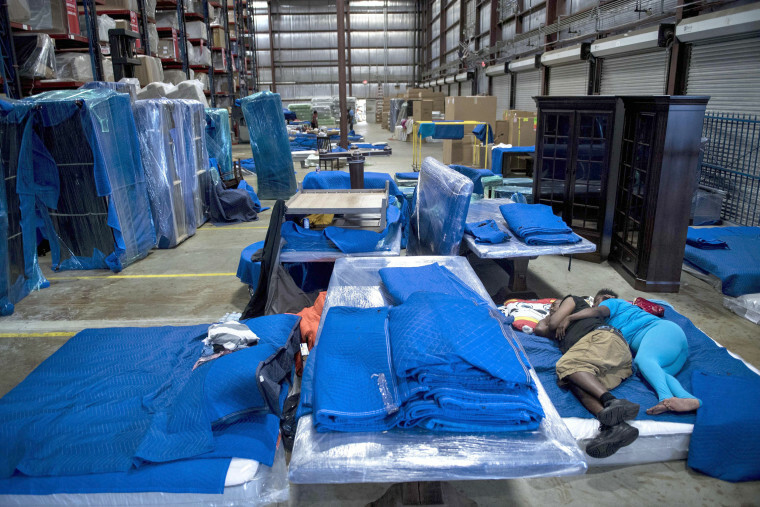 Evacuees get some rest in the warehouse at a furniture store turned shelter in Houston. 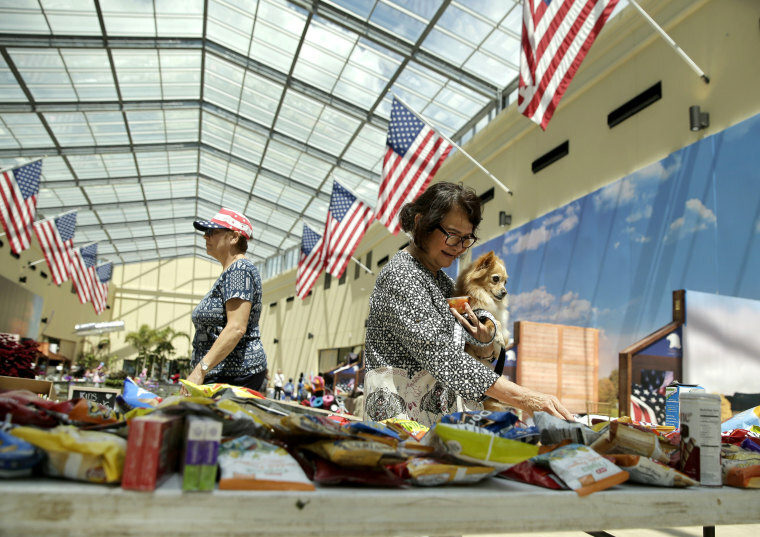 Some of these temporary shelters have proved a homier alternative to the convention centers that have taken in more than 10,000. 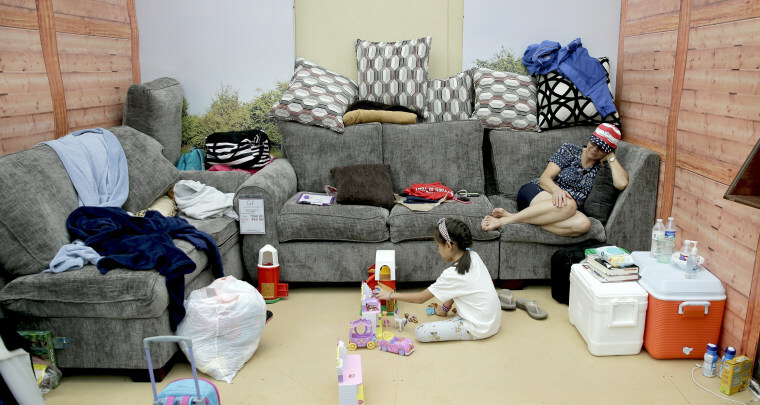 Cindy Arcement watches while her granddaughter Elizabeth Arcement plays in their living area while sheltering at a furniture store. Arcement and four other family members evacuated their nearby homes Sunday in anticipation of the Brazos River flooding their neighborhoods. Cherone Flakes talks to her daughter Kiera while sheltering at a furniture store. The family evacuated their Rosenberg, Texas home Saturday in anticipation of flooding. 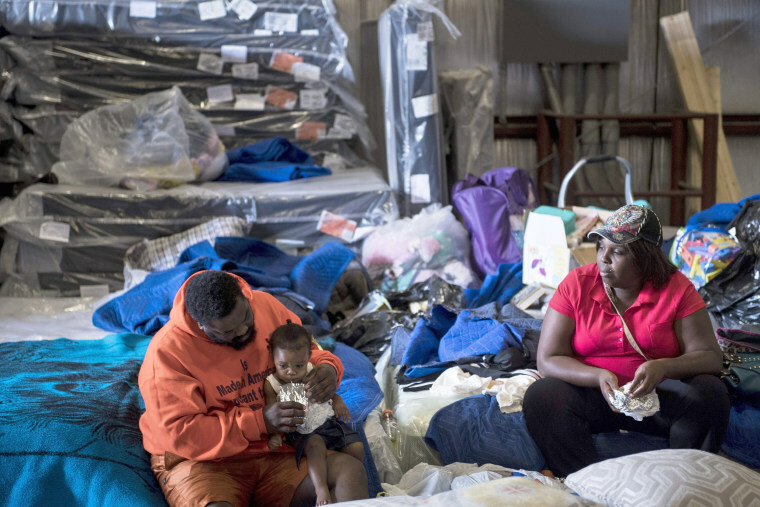 A baby sits with family belongings in a shelter at a furniture store in Houston. 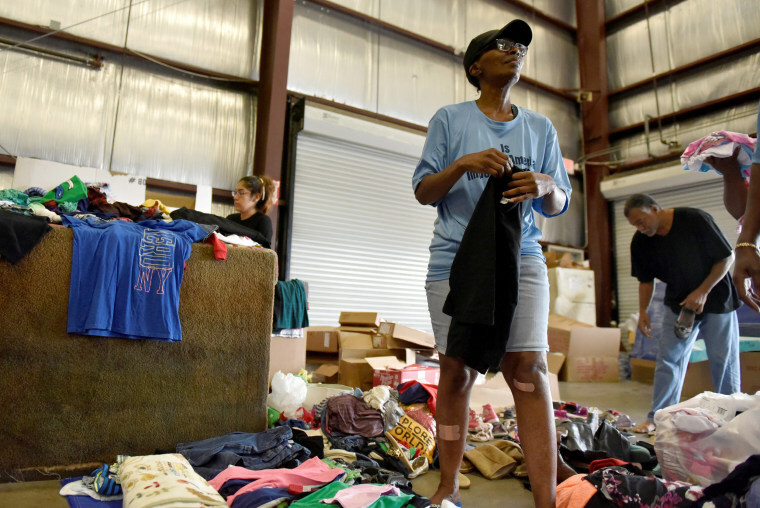 Evacuee Carolyn Jackson sorts through donated clothing in the warehouse at Gallery Furniture which opened its doors to those needing shelter on August 29 in Houston.